The deadline of my car's inspection is February 18. In Japan, All automobiles has to take a safety check every two years. This time, I will try to make a maintenance by myself because I don't have enough money. 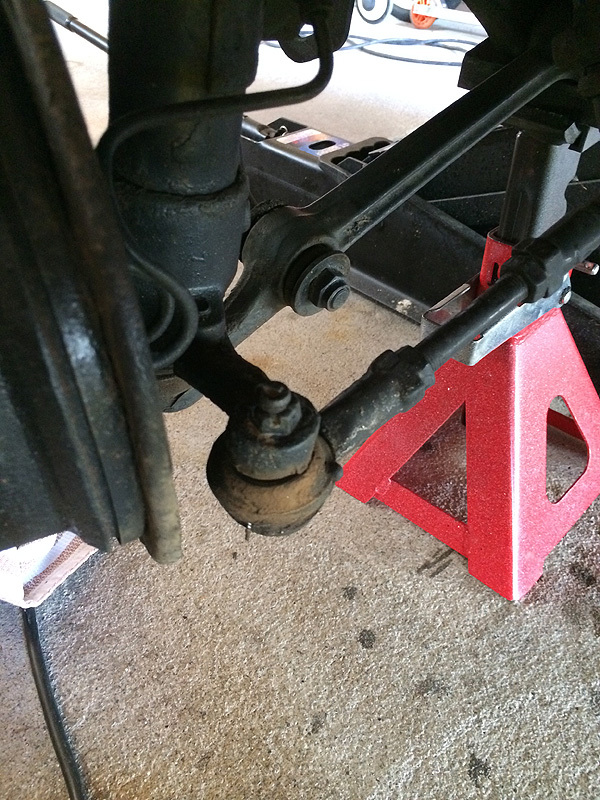 At first, I have started doing a maintenance to chassis. 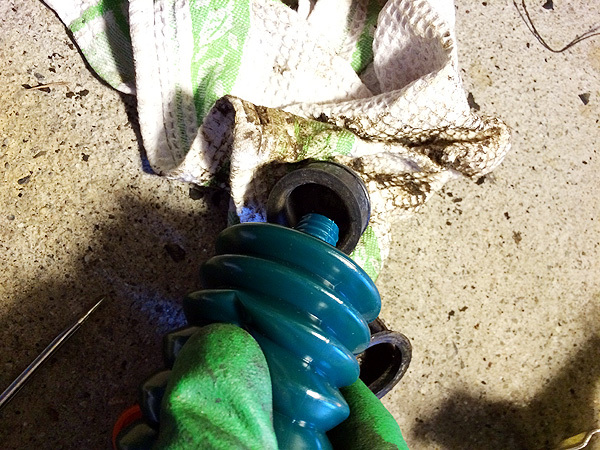 The dust cover of tie rod end had been bursted. If the dust cover has been bursted, my car can't pass the automobile inspection. 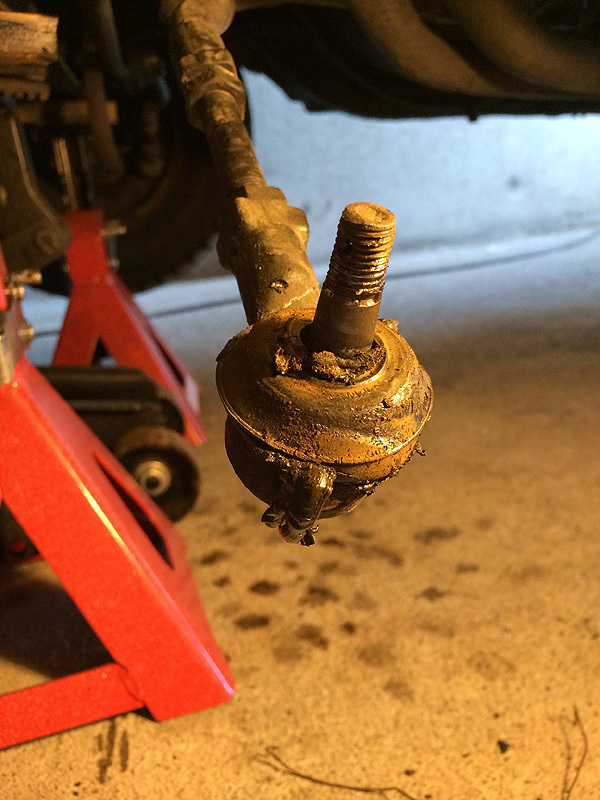 The tie rod end has to remove for replacing the parts. It needs the specially tool for removing it. 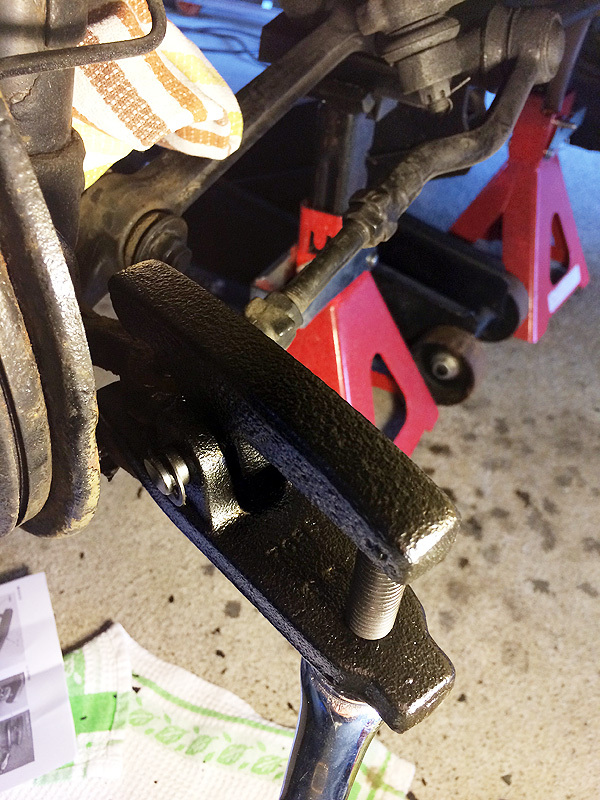 The tool's name is "tie rod end puller". After all, the dust cover had been bursted. 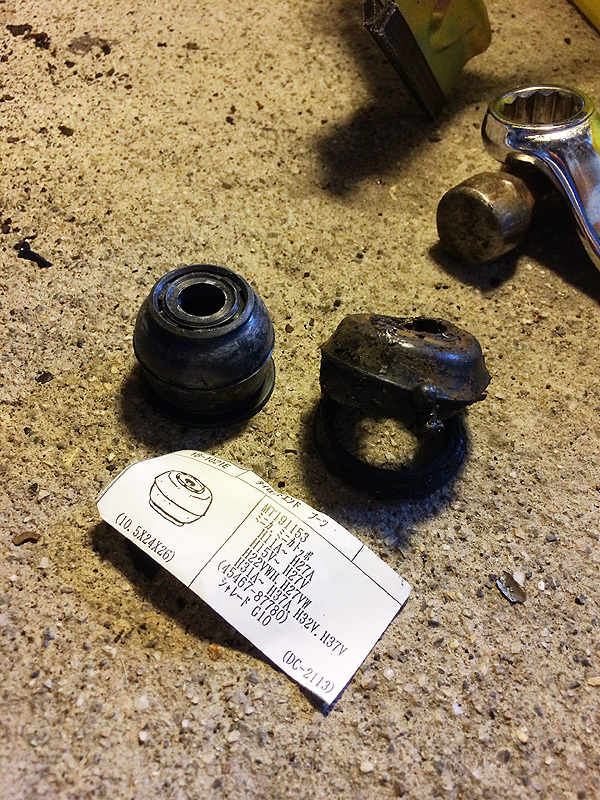 There was a backlash to the tie rod end, it may need to be replaced. It has filled with grease. Then all parts assembles for doing restored. Actually, This is the first time that I do this work. Ha ha!